In our region of space there are three galaxies. The Milky Way, the Andromeda, and the Triangulum. The Triangulum galaxy is different from the others. Its center is not dense like our own galaxy or like the Andromeda galaxy. Instead, it has lose spiral arms that emanate from a nebulous ionized hydrogen core in which millions of stars are actively being born. The Triangulum galaxy is a metaphor for the network-dominant society model of Open Source Government. The Triangulum Galaxy (also known as M33) is located about 3 million light-years from Earth. It is the third largest member of the “Local Group,” i.e. the galaxies that are near our Milky Way. The Triangulum has a small satellite galaxy of its own called the Pisces Dwarf Galaxy. Among the Triangulum galaxy’s most distinctive features are ionized hydrogen clouds, which causes the galaxy to have a characteristic red glow. 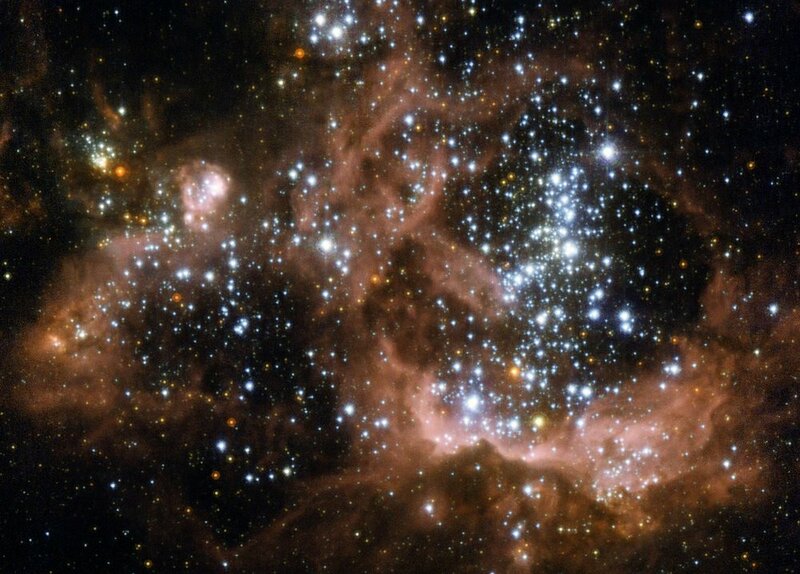 These gas clouds are massive regions of star birth. Charles Messier, who created the Messier astronomical catalog, first observed the Triangulum galaxy in 1764. In 2011, NASA’s WISE Telescope revealed hot spots of activity within the Triangulum galaxy but also showed the center of the galaxy doesn’t have much going on within it. You might want to check out my latest book on Amazon. You can purchase it or read it online for free.